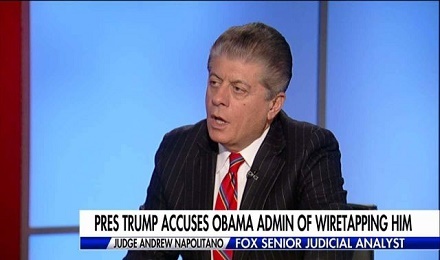 On the Tuesday edition of the nationally syndicated talk show Crosstalk with Jim Schneider, the host looked at the 4-page Foreign Intelligence and Surveillance Act (FISA) memo that was declassified on Friday. This is the GOP intelligence memo that sheds light on what some believe are subversive, behind the scenes actions of the FBI and the Department of Justice in their alleged war on the Trump campaign. Then, after Trump won the election — and the Democrats and news media went ballistic — the investigation was carried over into 2017 with the goal of overturning the result. In other words, there was and continues to be a plot to overthrow a duly elected Commander in Chief. Joining Jim to discuss this issue was Robert Romano, the vice president of public policy with Americans for Limited Government. Is the FISA memo trumped-up partisanship or is this a matter of serious concern? Robert believes it’s the latter. The Christopher Steele dossier that was paid for by Fusion GPS (who was, in turn, paid by the DNC and the Clinton campaign) alleged that the Trump campaign was involved in Russian collusion and the DNC hack. That dossier was used by the Justice Department in October of 2016 to obtain a FISA court warrant against Carter Page, a Trump campaign advisor. The FISA court wasn’t told where this document had come from, that it was financed by the Democrats, or that it was salacious and unverified as former FBI Director James Comey testified to in 2017. The former Deputy Director of the FBI, Andrew McCabe, testified later that the only thing they could corroborate was the fact that Carter Page went to Moscow to give a commencement address. So the only reason they got the FISA warrant was because of the dossier which Page had been mentioned in, not because he had been in Moscow. That led to the idea that there was some collusion or scheme to steal e-mails from the DNC and put them on WikiLeaks and involving Russia and Trump. Now we know one year later via testimony from those that have looked into this that it was salacious and unverified. That brings up Christopher Steele, an ex-British spy who was working for Fusion GPS. He was a paid, private intelligence operative for the Democrats responsible for obtaining raw intelligence on Donald Trump, his campaign, and their alleged dealings. Glenn Simpson, co-founder of Fusion GPS, testified to the House Intelligence Committee that he didn’t verify Steele’s sources. Steele never traveled to Russia. Instead, he had ‘go-between’s’ for that purpose so Steele never even talked to his own sources. According to Robert, it looks like they took what they thought were travel records of Trump officials and then filled in the blanks with falsehoods. Robert gave the example of Michael Cohen who was supposed to be in Prague in August of 2016 (according to the Steele dossier) speaking with Russian agents about cleaning up the mess per the WikiLeaks disclosure. The problem with this is that Cohen has communicated that he’s never been to Prague. So if he wasn’t in Prague in 2016, then he couldn’t have been there speaking with Russian agents cleaning up the mess dealing with WikiLeaks and the dossier. This means that whoever Steele’s sources were that claimed he was there and having such conversations should be called into question. So is there a link between the Obama administration and Hillary Clinton’s campaign? Robert handles that question and more as he untangles this very detailed controversy on this edition of Crosstalk. 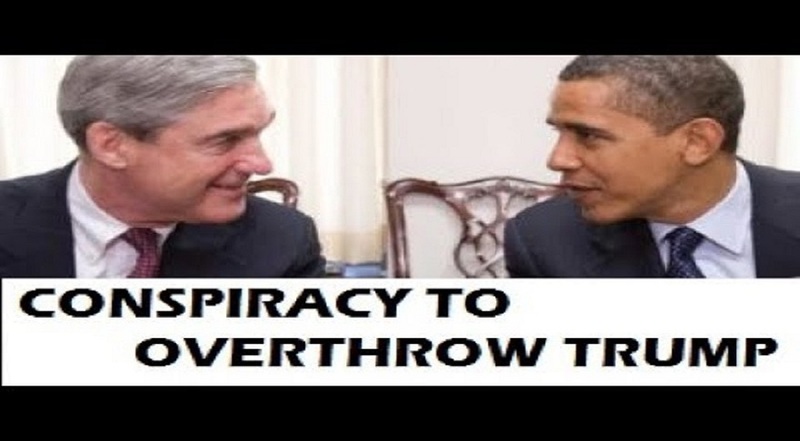 In 2016, Obama era senior intelligence and Justice Department officials utilized illegal spying against the Trump campaign, the opposition party at the time, knowingly using DNC and Clinton campaign-generated materials to obtain secret FISA warrants to interfere with the election and provide an “insurance policy” against a Trump presidency with the false allegations of Trump-Russia collusion on the DNC hack, all the while hiding the political origins of these lies from the FISA court. Then, after Trump won, the investigation was carried over into 2017 with the goal of overturning the result. Every American whether they are liberal or conservative must stand united against this unacceptable politicization of the intelligence agencies and federal bureaucracy, which subverts the Constitution, the will of the electorate and therefore the consent of the governed. Former FBI Director James Comey testified last year that the dossier was ‘salacious and unverified.’ Former Deputy FBI Director Andrew McCabe testified that about the only thing they could corroborate from the Steele dossier was that Carter Page had traveled to Moscow to deliver a commencement address at a university, which was already a matter of public record, and that but for the dossier, there would not have been a FISA court warrant at all. FBI agent Peter Strzok, who had been leading the FBI’s investigation into Trump, told his mistress prior to joining the Mueller investigation that he was a afraid there was ‘no big there there’ on Trump campaign-Russia collusion. And Steele himself, in a libel suit over the dossier in the UK, said the dossier ‘did not represent (and did not purport to represent) verified facts.’ Also, per the testimony of Fusion GPS CEO Glenn Simpson, Steele never traveled to Russia himself and may not have even personally interviewed his sources, instead relying on go-betweens. In the end, nobody confirmed Steele’s sources, including apparently Steele himself. Not Simpson, not the FBI which used the dossier to get the spying warrant. Now that President Donald Trump has moved to #ReleasetheMemo, Congress must stop the illegal spying. This could be the greatest constitutional crisis the nation has faced since the Civil War, and the next year must be spent cleaning up this mess to ensure that the American people’s constitutional rights against illegal searches are restored. The politicization of the Justice Department, FBI and intelligence services is unacceptable in a free society and safeguards must be put in place to prevent this from ever happening again.